Hockey East’s Preseason Coaches’ Poll—like the Broadcasters & Writers poll posted here yesterday—projects a third-place finish for the Terriers. But while the media poll picked Providence to finish first followed by BC, the coaches' poll picks just the opposite with the Eagles on top. BU received one first-place vote in the Coaches’ Poll. The conference also announced a change in the playoff system for 2018-19. Only eight teams will qualify for the Hockey East Championship Tournament for the first time since 2012-13. 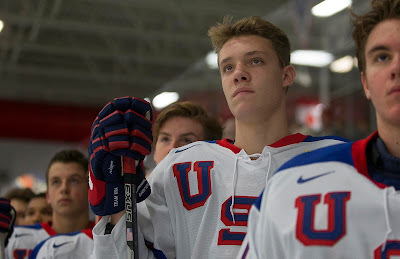 Among the 28 players identifed on the NHL Central Scouting Watch List as "A" skaters—first-round prospects for the 2019 draft—are future Terriers Alex Vlasic (photo) and Trevor Zegas, both playing with the NTDP U18s. 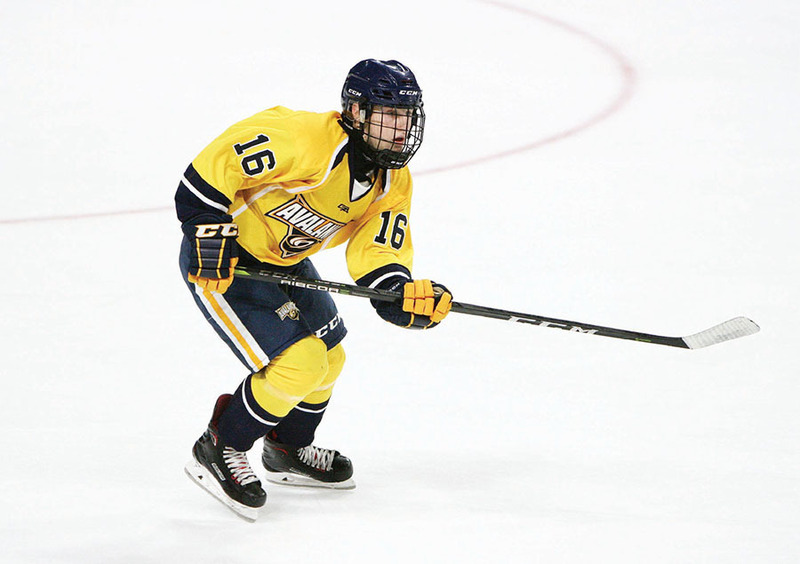 Chicago Steel forward Robert Mastrosimone received a "B" rating, while Liam Connors (St. Sebastian's), Braden Doyle (Lawrence Academy), Domenick Fensore (NTDP U18s), Case McCarthy (NTDP U18s), and Cade Webber (The Rivers School) all were rated "C" skaters. New York Hockey Journal’s Jeff Cox serves up a profile of 2021 BU recruit Jeremy Wilmer. The 5’7” center, who followed a 73-point season with the Long Island Gulls Bantams with strong performances at the World Selects Invite and the USA Hockey Select 15s, is skating for the North Jersey Avalanche 16Us this year. Four games into their season, Wilmer and 2022 BU recruit Devin Kaplan are tied for the Avs’ scoring lead with nine points each. Alex Chiasson, a Stanley Cup winner with the Capitals last season, has signed a $650,000 one-year contract with Edmonton after going to the Oilers' training camp on a PTO. Head Coach Mike Bavis leading the charge on Day 1 of Training Camp. From New York Rangers Video, Coach David Quinn visits his hometown of Cranston, Rhode Island and reflects on shifting career goals to coaching after hemophilia ended his playing days.